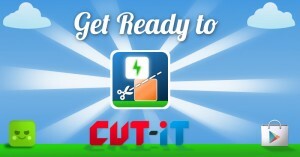 Finally, Cut-it hit the playstore after a long time in development & iterations. This is officially my first android game (well, Spell-it is my first published one). Download it and enjoy the brain teasing puzzles and freedom of slicing. Hope you like it. I would appreciate your feedback and suggestions (not to mention ratings he he), to improve the game further. to figure out each uniquely crafted puzzle and obstacle across various distinct modes of gameplay. A web/Online game to promote the Android version will be uploaded soon.